Yumble was founded by former stay-at-home Mom, Joanna Parker. "As a Mom, I felt the pain that many moms feel: wanting to serve our kids real food every day, but not having enough time to do it! After a busy day, what I desperately wanted to do was spend time with my family, not run around shopping, cooking, and cleaning. 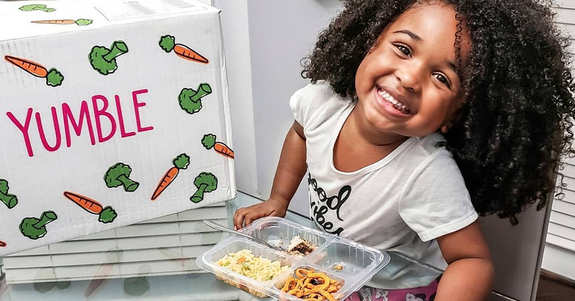 I created Yumble to lighten that load for parents by taking care of serving healthy meals to kids so that parents can spend more time families." 1. Choose your meals. Choose from our customizable menu of fully cooked delicious kids’ meals. 2. We cook and ship. We use fresh, natural ingredients to make healthy versions of meals your kids already love and deliver weekly to your doorstep. 3. Kids' mealtime is done! Simply serve as is or heat them in less than 90 seconds in the microwave. NPN members save 30% on your first two weeks of Yumble subscription and free delivery! Expires May 29, 2019. U.S. only. Go here for details.